I love reading your Q & A posts and seeing your similarities and differences too! I also adore all these dreamy beach pics! Super cute beach towel and drink holders! :) Wishing you ladies the loveliest summer ahead! xo! I definitely need to head out to the beach this summer! And yes to watermelon in the summer, it's the best! So fun! Love the similarities and the differences. I literally will be singing Fresh Prince and DJ jazzy Jeff all day. My husband’s name is Jay and I call him DJ Jazzy Jay cause he can beat box! Happy Monday babe! ha as usually - very alike in some ways and different in others! i love a lazy day at the beach. low impact. ha. and that SONG is the best! Hahahaha HOT!!!! is my work for summer too. It is already ridiculous here and I am counting down to fall! All these summer posts having me crave a nice cool pool and some strawberries right now. 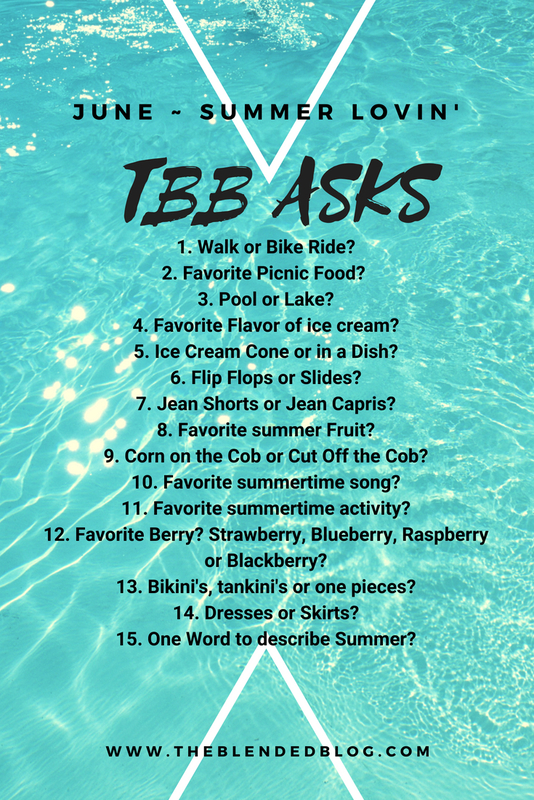 And I always love seeing how similar but different y'all are when you answer these questions! 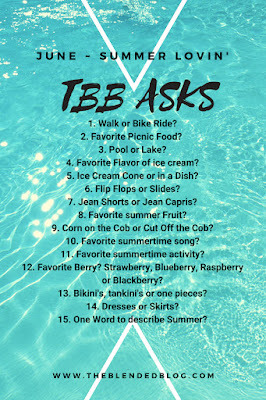 I used the same word as y'all to describe summer, although going to the pool and the beach definitely helps to cool off! By the way those drink holders are so cute, and I need one! Now I totally have that song stuck in my head! Such a good choice. Ice cream in a bowl with a cone is so good! Black raspberry ice cream sounds so good! "Summertime" is such a classic! Love it. Also love those inflatable coasters- so cute! And I thought I was the only one who ate ice cream in a dish with a cone on top haha! "Jenn doesn't do either" lol. I prefer capris to skirts and dresses, but occasionally I'll throw on a dress when it's super hot. I love black raspberry chocolate chip ice cream. So good. Love the Fresh Prince song - definitely an iconic summer jam. Yes to strawberries and watermelon! Yum. I just love these series! It's so much fun learning about my fellow bloggers :) So happy to have found your blog too!